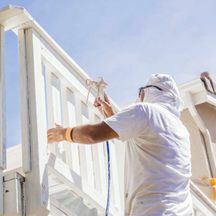 Based in Palmerstown, Professional Painters Dublin has a large team of contractors at your disposal & for residential customers. We provide internal or external painting, wallpaper hanging, plastering and spray painting. It’s free to talk, so drop us a line or call us, because consulting professional help will save you time & money, which brings any client peace of mind, in comparison to the messy DIY alternative. 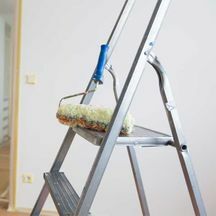 We provide an expert painting and decorating service to domestic and commercial customers, working on projects of all sizes and specifications. We source all our paints from trusted suppliers and use only the highest quality materials. Our spray painting service provides a quick and convenient solution to your painting requirements. Using our state-of-the-art spray painting machinery we are able to cover large surface areas in no time. 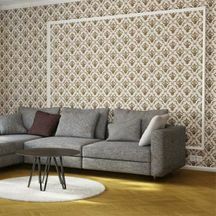 We are able to hang all types of wallpapers in a fast and efficient manner, working with both domestic and commercial customers to transform their interiors. 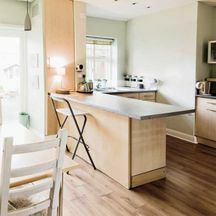 We provide a complete kitchen refurbishment service, working on all types of requests. 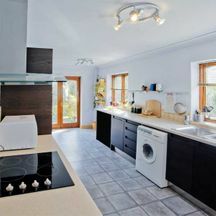 If you want to freshen up your kitchen or completely transform its look, get in contact with us. 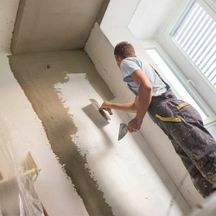 We are also registered plastering contractors, with services including plain plastering, decorative plastering, plastering renovations, insulation and plastering repairs. For a professional, reliable painting and decorating service, call Professional Painters Dublin. We provide a free quotation for all of our work.